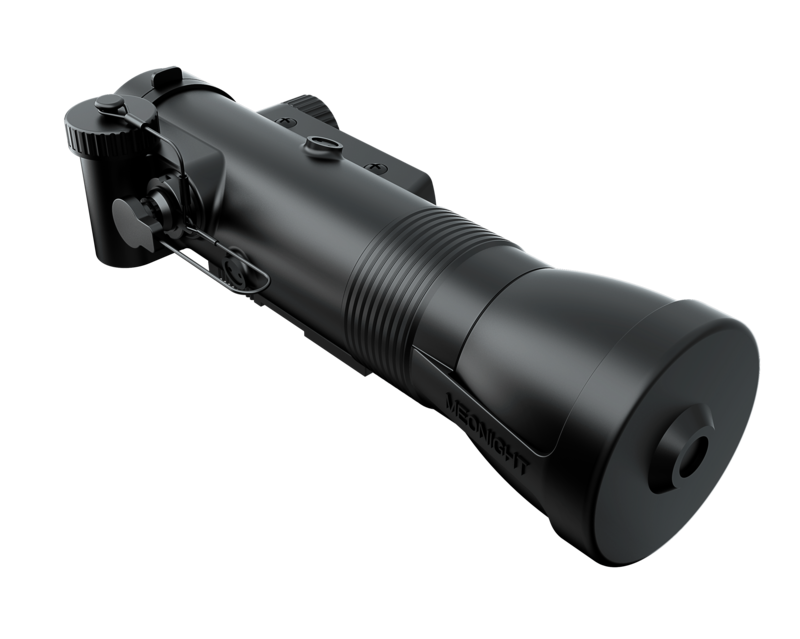 Meopta introduced a new night vision device (NVD), the MeoNight 1.1. It can be used in multiple ways. First, you can use it as a night vision monocular if you need a device for stand-alone viewing at night. 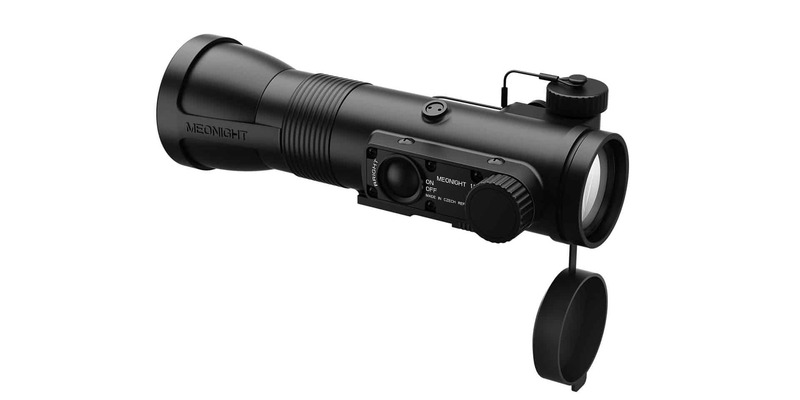 The other way of using it is to combine it with a rifle scope so you can use it for night time hunting and shooting. You can place it in front of your rifle scope to get a night vision setup. The MeoNight 1.1 has a 1x magnification. It is optionally also available with a 3x magnifying module booster. The field of view (FoV) is 12.2°. To conserve battery, the device will turn itself off if it hasn’t been in use for an hour. This conserves battery and allows for an overall battery life of around 50 hours. Target acquisition is possible up to 600 meters. The image intensity can be adjusted through an external brightness control. The higher the intensity of the image the more battery will also be consumed. You can use the MeoNight 1.1 in combination with a daytime rifle scope. The easiest is to use Meota’s quick-release NAR (MIL-STD 1913) mount which places the device right in front of your optical scope. Alternatively, you can mount the device directly onto the objective of your rifle scope. Meopta provides custom adapters for objectives with 42mm, 50mm or 56mm. If you combine the device with any scope, no matter how you mount it, it does come with a remote-control cable. This cable can be attached to the stock of the rifle and allows you to adjust the brightness of the image while keeping your finger on the trigger. The device is built to be used in hunting or tactical situations. It’s rugged and, as you would expect, is water and fog proof and shock resistant. The operational temperatures are set for -40°C up to 55°C! It comes as a complete set that is ready to be used out of the box. You get the device itself, a battery (CR123), Allen keys, Picatinny rail for mounting, protector and sleeve. It also includes an eyepiece eyecup, the remote control (as mentioned before) as well as a bag and a grip/hand strap. In other words, it’s ready to be used out of the box! More information can be found on the manufacturer’s site.